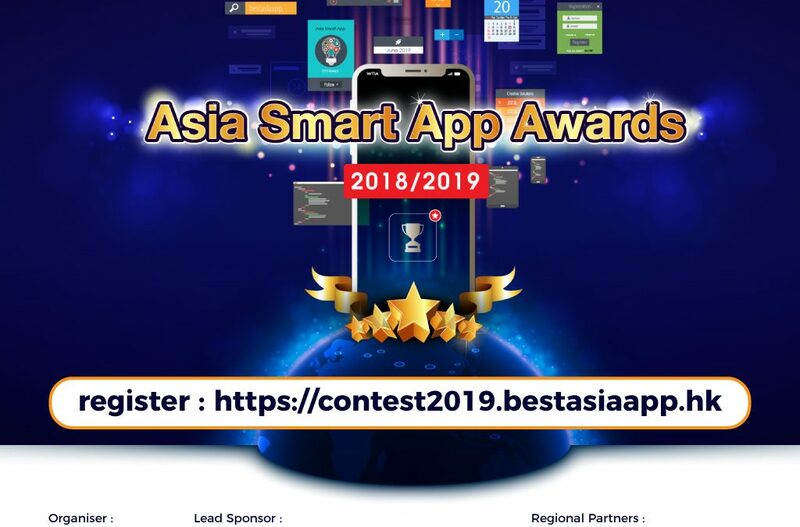 Asia Smart App Awards (ASA) is aimed to recognise the excellence of innovative smart app development and provide a platform for top smart app professionals in the region to meet, share, collaborate and learn from each other, Hong Kong Wireless Technology Industry Association (WTIA) follows up on the successful Asia Smart Apps Contest to organise ASA 2018/2019. By joining forces with the co-organisers from the Mainland, Israel, Indonesia, Japan, Korea, Malaysia, Philippines, Singapore, Taiwan, Thailand, Vietnam, Sri Lanka and Myanmar, WTIA will bring this timely event to further facilitate the growth of the burgeoning smart app sector in Asia. Qualified entries will undergo 2 rounds of assessments. In the initial assessment, a board of independent industry experts will select 9 finalists, 3 for each of the following Smart Application Categories, to enter the Final Judging. This includes all solutions that target the public services within or outside the organisation that use information and communication technology to increase efficiency, and/or improve access to or the quality of services, communication and information within public sector. This also includes all solutions that target non-profit organisations, social enterprises, and corporations that adopt information and communications technology to improve the common good. This includes all solutions that target the businesses and enterprises adopting the innovative use of information technology in different industries both internally and externally. This includes all digital media served by the smart device platform for lifestyle and social aspects. This also includes various digital media served by the smart device platform for information, edutainment or for pure entertainment, as well as other related applications. Interested parties should complete the “Online Application Form” via the project website http://bestasiaapp.hk by the deadline with a short description of the applying smart app plus a link to a one-minute video (English voice-over or sub-title must be incorporated into the video to facilitate judging), demonstrating the operation of the applying smart app, with the video hosted on, for example, corporate website, Youtube, Tudou, etc. Applicants must indicate clearly in the Online Application Form for which one of the three award categories, namely Public Sector Distinction; Business and Commercial; Lifestyle, Social and Entertainment, the entry is competing. Applicants must submit a copy of their valid business registration certificates (in the format of pdf, jpeg, etc) by uploading the file onto the project website. Applicants must declare in the Online Application Form that they have the intellectual property rights of the entry or have obtained the endorsement from other relevant parties with all or any part of the intellectual property rights of the entry. They should also authorise the Organiser the right to use the submitted entry for the Awards and its related activities.